The U.S. Citizenship and Immigration Service (USCIS) has announced that starting on October 1, 2017, it will begin “phasing-in” mandatory in-person interviews on employment based applications for adjustment of status to lawful permanent residence (Form I-485) and petitions for relatives of asylees or refugees (Form I-730). The USCIS announced it will also begin incremental expansion of interviews for other type of applications for immigration benefits. The USCIS announcement is a significant policy change regarding its processing of employment based lawful permanent residence and refugee/asylee relative petitions. The Service currently requires an in-person interview on a number of types of cases, including most family based lawful permanent residency cases, asylum and naturalization cases. These in-person interviews are conducted by the local USCIS Field Offices around the country. The USCIS has always had the discretion to require an in-person interview prior to granting any immigration benefit. However, a number of years ago, the agency determined that requiring an in-person interview on certain types of cases, including employment-based lawful permanent residency cases, was a poor use of its limited resources. As a result, the USCIS has generally waived the in-person interview requirement for the majority of straightforward employment based lawful permanent residency applications. The USCIS has not yet provided detail regarding the allocation of resources or staffing to oversee in-person interviews on these cases. However, we are concerned about the impact that this change will have on processing times of a large number of applications for immigration benefits. USCIS Service Centers are already taking between six months (Texas Service Center) and two years (California Service Center) to review and approve pending employment-based lawful permanent residence cases (without an in-person interview). Further, many local USCIS Field Offices – the offices likely to be tasked with conducting the newly required in-person interviews on these cases – also report significant backlogs in case processing times. 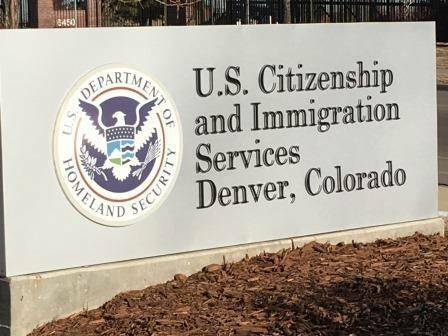 For example, at the USCIS Denver Field Office, family based adjustment of status applications and naturalization applications (cases requiring in-person interviews), currently take approximately nine to ten months prior to interview and adjudication. Absent a significant staffing increase at the USCIS Local Field Offices, requiring the local field offices to conduct in-person interviews on all employment-based adjustment of status applications and refugee/asylee relative petitions is likely to cause significant processing delays across a wide variety of case types. For more information on lawful permanent residency, USCIS processing times and procedures or other immigration matters, please contact Kolko & Associates, P.C.